Four Sides London offers a unique blend of Pilates, Strength and Conditioning and Women’s Health services, delivered by expert Physiotherapists in a space unlike any other Physio studio, one that is cool not clinical. 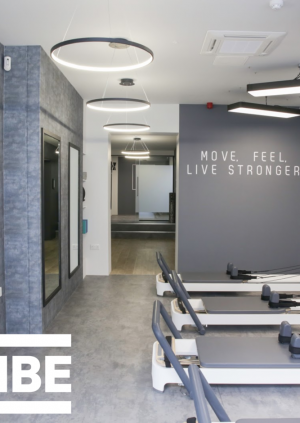 The space is a base for health and happiness encompassing fitness, mindfulness and well being, allowing clients to focus both on the mind and body and help them move, feel and live stronger. TRIBE and Four Sides London are joining forces as part of our series of specialist trail runs and training sessions to get you race-ready for TRIBE x Maverick Run Free on May 25th. We are raising funds for the TRIBE Freedom Foundation to fight modern slavery. Whether you're a seasoned trail running pro or it's your first time venturing off-road, the TRIBE x Maverick Run Free Festival will bring together hundreds of runners to celebrate the Force of Nature, explore the great outdoors and champion the endless discovery it enables. With the right training and support, our potential is infinite. 9:00am - We will then split into two groups and rotate between..
30 min 'Why should S&C be a part of your training plan?" Talk with Four Sides Physio followed by a 30 min Q&A session. 11:00am - Cool down and refuel with TRIBE Protein Bars, the best natural performance nutrition there is! Tickets: £5 donation to the TRIBE Freedom Foundation. LIMITED SPACES so sign up now!